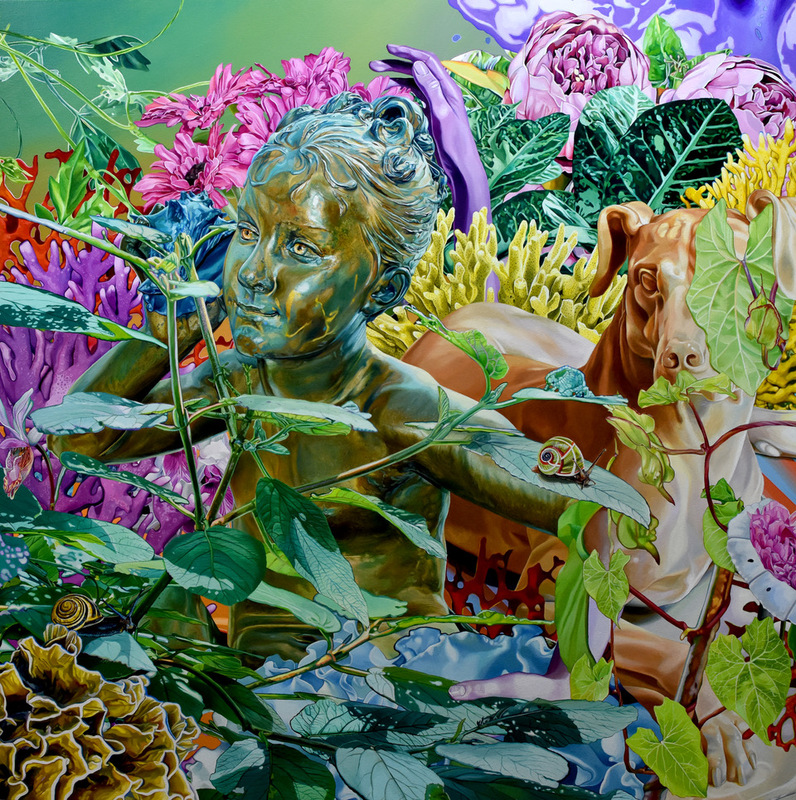 Thinkspace is pleased to present new works by Cuban-born painter Juan Travieso in Entropy. Currently based out of Miami and New York, Travieso creates visually complex worlds suspended in a state of fracture. Dismantled into seismic shards, these fragments are subject to the disorienting effects of constant spatial interruption. Combining a realist painting technique with surreal juxtapositions, spatial splicing, bright palettes, and geometric abstraction, Travieso conveys the textures of a universe in breach, distorted and split by its endless potential for loss. 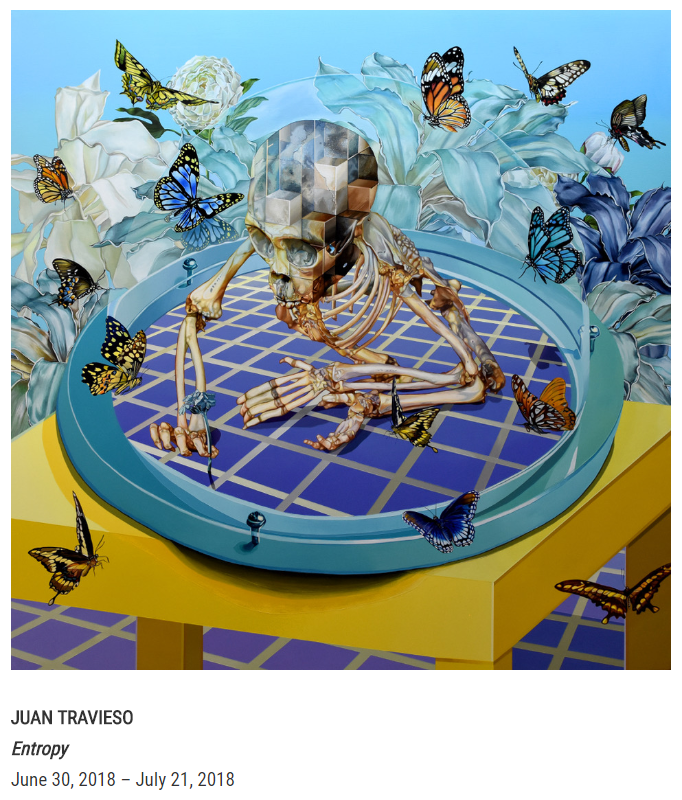 Fascinated by the extinction of countless endangered species and the often irrevocable influence of human intervention, Travieso presents the reality of a world in transition. His compositions often look like digitized renderings, informed by the awkward, artificial simultaneity of 3-D models, and devolve in moments to pixelated digital facsimiles, reminding us of the unavoidably temporal nature of disappearance.